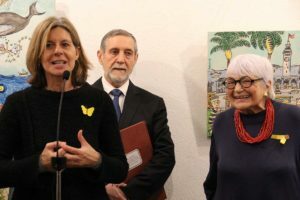 The second surprise of this inauguration: the Mayor of Sant Cugat del Vallès, Ms. Carmela Fortuny, has introduced the speeches. 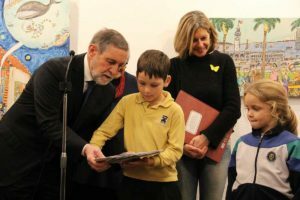 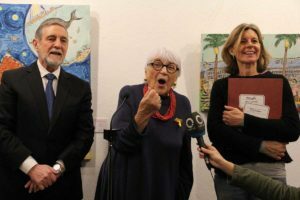 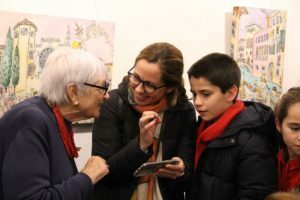 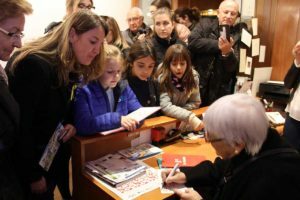 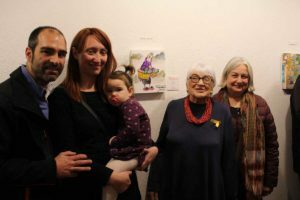 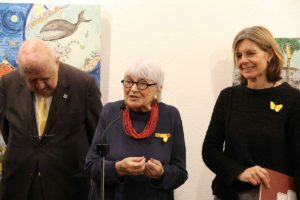 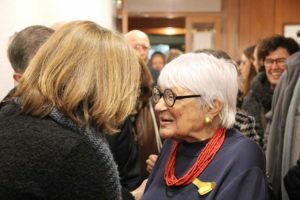 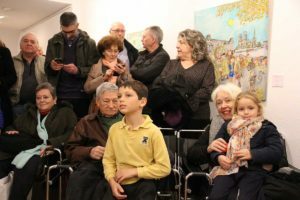 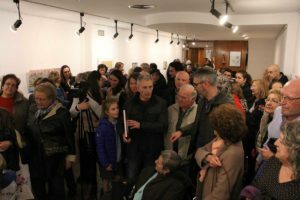 After thanking the cultural commitment of the Rusiñol Gallery with the city, she has praised the artist so much that she ended up saying: «I would like to be like you». 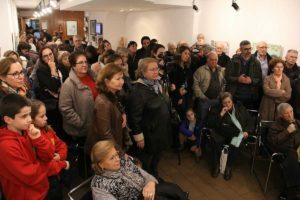 The enormous traffic troubles could not stop the arriving of our art critic, Mr. Josep M. Cadena. 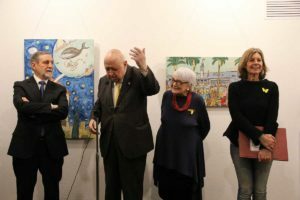 Still snorting to get the Rusiñol Gallery on time and to make his way inside the Gallery, he has given us an interesting light: «You could think that the style of the Pilarín is” humoristic”, but in reality I would classify it as “humanistic”». 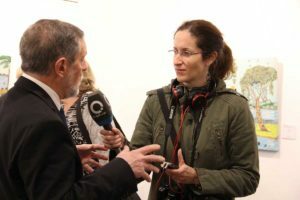 «Tenderly ironic, serious and funny, Pilarín Bayés achieves a perfect combination of descriptive realism and high artistic creativity. 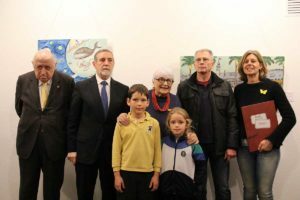 Everyone can feel identified in his drawings, full of life in the stroke and in the colors» (from the writings of Josep Mª Cadena).